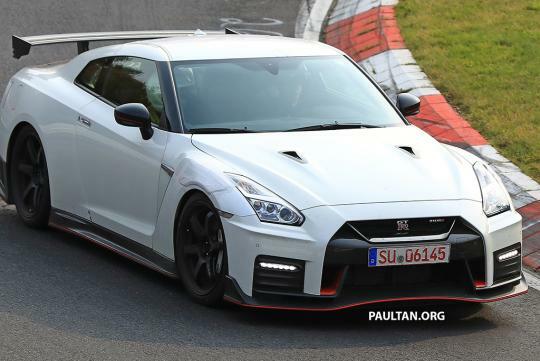 > Nissan's GT-R Nismo to be facelifted again? 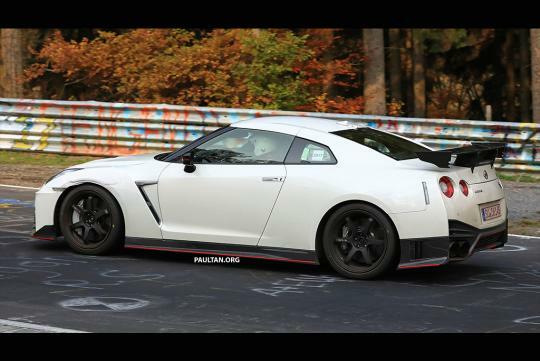 Nissan's GT-R Nismo to be facelifted again? The GT-R has been seen on the Nurburgring making its rounds again as Nismo seems to be preparing for another round of improvements for the supercar. Launched in 2016, the GT-R Nismo shown here in the photos has been lightly camouflaged, with only the vents above the front wheel arches giving away some clues of what could possibly be changed. The vents, which looks similar to what Porsche's 911 GT3 RS has, is said to be able to reduce air pressure in the wheel arches, thereby reducing lift. Also mentioned in the article on paultan.org, a slight power bump from the current 592bhp supercar can be expected. With no replacement in sight, the car is heading towards its 10th birthday and Nissan claims that the car still has lots of room for improvement.